Happy Monday everyone. Weeksauce is on pause this week as Kyle is traveling. Instead of not posting anything I figured why not pull something from Kyle and my past podcast efforts. Please enjoy this segment of emails from the 39th episode of Amove Radio where Kyle and I talked about ending StarCast and how to podcast. 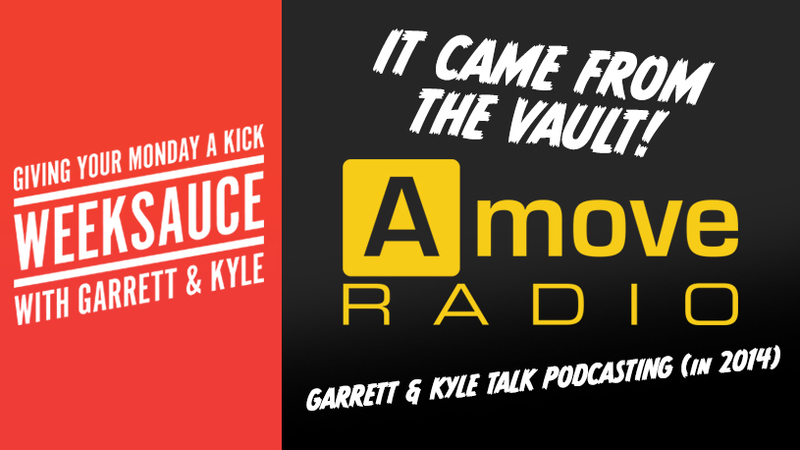 On this week's Amove Radio, Ben is out so Kyle and Garrett decided to talk about podcasting. How to start one, the hiccups many casters encounter, the history of StarCast and everything that came after, and more!